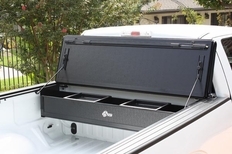 The BakBox 2 is the perfect accessory for your Bak Tonneau Cover equipped truck. The BakBox 2 is a collapsible cargo box / toolbox that covertly hides under your BAK Tonneau Cover. Perfectly hidden, nobody will even know it is there! Once installed, the BakBox 2 flips out from the back wall of your truck in seconds to give you a full, secure tool chest and cargo management box. It disappears just as quick should you want to use your full truck bed! How much can the BakBox 2 hold? The BakBox 2 measures 11 inches deep, 10 inches wide and runs the width of your truck bed. It is ready for heavy duty use with its 400 lb weight rating. Your tools or cargo will be protected and stay dry. 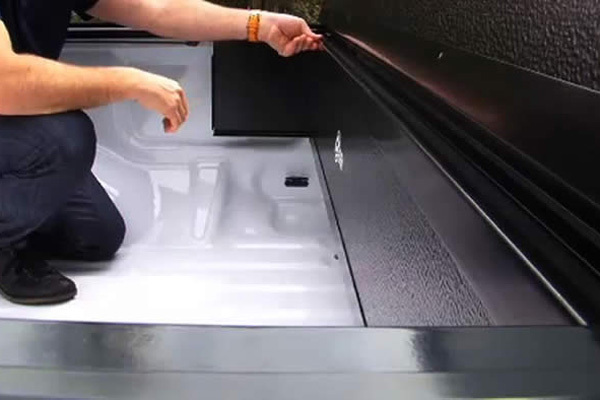 The BakBox 2 fits onto the rail of any BakFlip Tonneau Cover (this item will only work if you have a BAKFlip Tonneau Cover) in minutes and is ready for duty. Also included is a shifting tray that allows management of small items that can easily be slid out of the way. 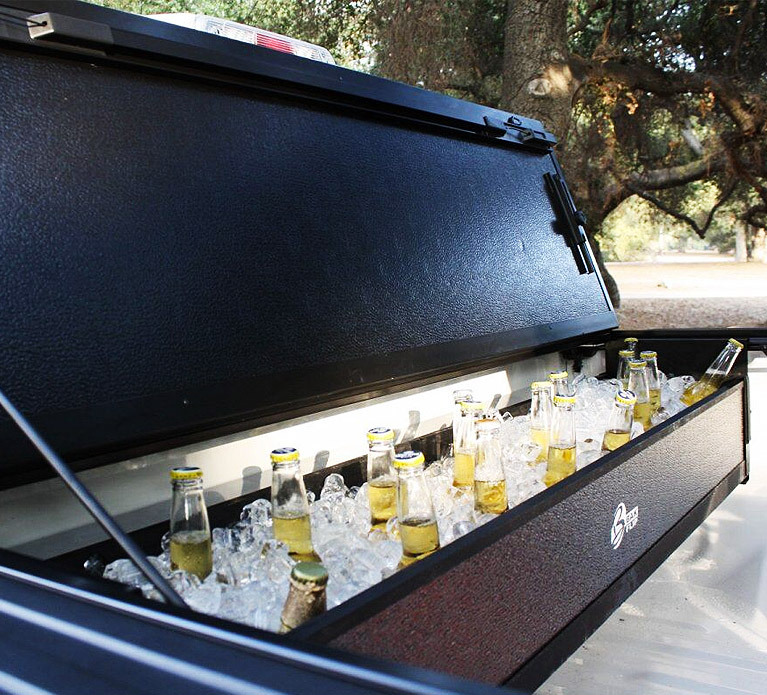 Add ice and it becomes a perfect beer or soda chest at the next sporting event! The part number for this item is 92305 and it fits 1994-2011 Ford Ranger (All) Trucks That have a BakFlip Tonneau Cover installed.